Bonjour! French is a beautiful, romantic language filled with wonderful names for babies. 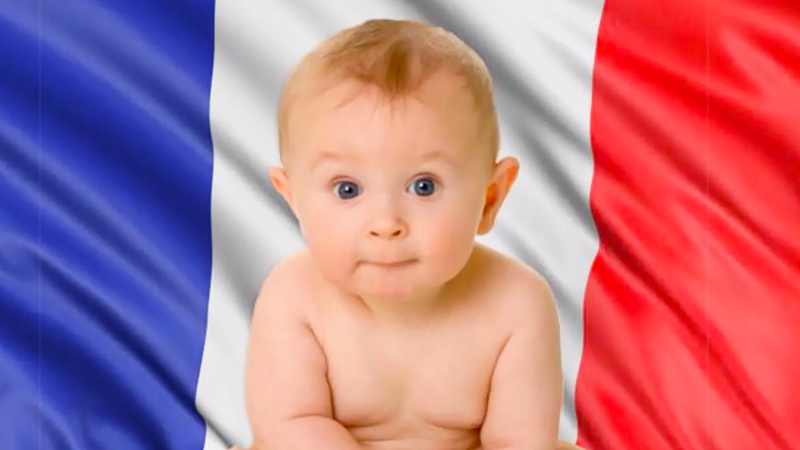 If you want to say oui your bebe-to-be’s name, check out these fantastic French baby names that are sure to make you swoon. Dreaming of the French countryside? Salivating over crepes in Paris? Wanting to pay homage to your French heritage? Whatever it is that makes you love France (even if it’s simply the way the language sounds), there are many, many beautiful French names out there for your child. In fact, there are so many good names, that narrowing it down might be a challenge. Of course, there is no way around it: Choosing a baby name isn’t an easy task. There are so many considerations to ponder when choosing the right name that it can be simply overwhelming. But don’t worry, there are many wonderful names out there that will be perfect for your little guy or gal. Whether you are looking for a popular name, a name that sounds French or something more unusual, these names will have you saying merci. Ready to get naming? Pull up a note pad and make notes about the ones that you like the best. There is a reason that naming a child is such a hard process: that name will follow baby from cradle to office to retirement. Popular french names have been immortalized in books and made famous by singers and actors. Heck, even NYC Prep is representing here. These popular French names are perfect for the long haul.